You may not realize this, but winter doesn’t have to be “flu season” or “cold season” for you and your family. Contrary to popular belief, getting sick every year is not a normal phenomenon. Getting colds and infections each year is the result of a chronically weakened immune system. If you follow these simple steps, you can greatly increase your odds of staying productive and healthy—even while your friends and co-workers are all getting sick. Just because a cold is “going around” does not mean you have to catch it. Most people don’t realize how much harmful bacteria and viruses they inhale all year long. While you may already know that the root of the problem lies with your body’s ability to resist infection, there is one important fact about the immune system that most people don’t know. That’s right—your digestive system is the most critical element of fighting off contagious illness. Your stomach and intestines contain a whole ecosystem of flora (helpful bacteria and microbes) that functions as a critical resource for your immune system. The flora that lives in your digestive tract are an important part of the microbiome, a system of good and bad bacteria, fungi, viruses and other microorganisms that travel throughout your entire body. You coexist with 100 trillion of these tiny creatures! To put that number in perspective, the microbes in your body outnumber your own cells by a ratio of 10 to 1. The digestive flora serves as the foundation of your immune system—and this flora also plays a vital role in brain health, memory, and weight control. By keeping your flora healthy, you can reduce the risk of other diseases such as diabetes, autoimmune conditions, and cancer. Here are some simple steps you can begin taking today to improve your immune health. Fermented vegetables like sauerkraut, carrots, collard greens, pickles, beets, onions and kimchee contain 100 times more helpful bacteria than supplements do. Try adding just one teaspoon of fermented vegetables to each meal. Gradually increase the amount little by little. 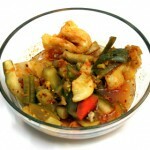 The ideal amount of fermented vegetables that I recommend is one to three servings per day (half a cup each). Replace pasteurized milk with fermented RAW milk or yogurt. Pasteurized milk is bad for your health, but fermented raw milk replenishes your digestive flora! Personally, I prefer Beyond Organic Amasai™ yogurt (raspberry is my favorite flavor). Beyond Organic heats their milk to 101 degrees; this is the same temperature as the cow’s body. Legally, a milk vendor can label its milk “raw” if it is heated to 144 degrees (one degree below pasteurization). If you are sensitive to dairy products, try coconut yogurt or water kefir. 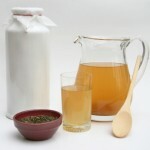 Kombucha (fermented tea) is great for your digestive system. KeVita makes a line of probiotic drinks that Ilove. I recommend non-alcoholic Mojito, which provides a full spectrum of minerals. These effervescent beverages give some people a natural energy boost. Take a probiotic containing an acid protection delivery system with meals so that it can survive the passage through your stomach and reach your intestines alive. Avoid sugars and processed carbohydrates. 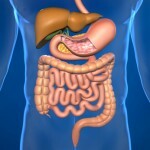 Sugar and processed carbohydrates are not only toxic, but they also feed the bad bacteria and yeast in your gut. The holidays are coming up—when the cookies, desserts, snacks and breads are passed around, think about your digestive flora! If you consistently incorporate these tips into your dietary regimen, you will find your health improving not only during flu season, but all year round. Every little bit makes a difference! Is Methylation the Missing Link to Your Vibrant Health?